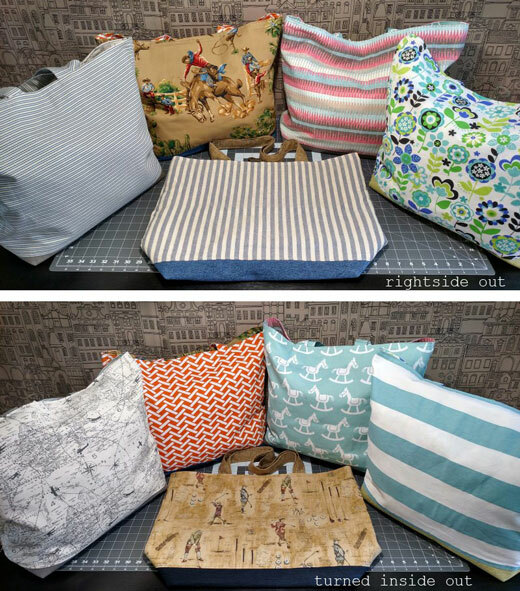 Remember, you can order anytime by visiting my ETSY site or emailing me directly. See my new styles for 2019!!! 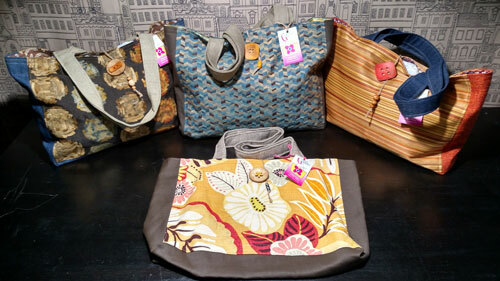 beautiful and fun styles when you visit the Gracie's Gunnies booth. 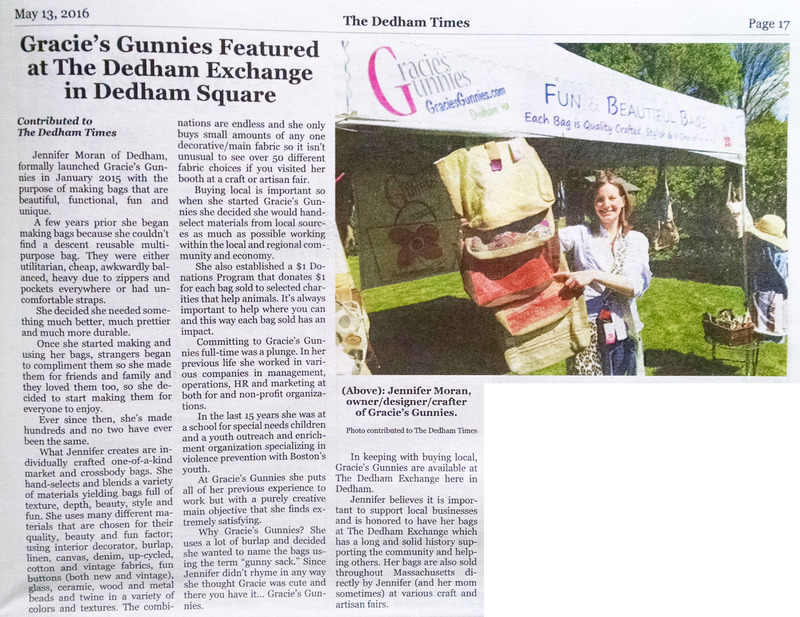 Gracie's Gunnies (Dedham, MA) are one-of-a-kind bags in may styles. 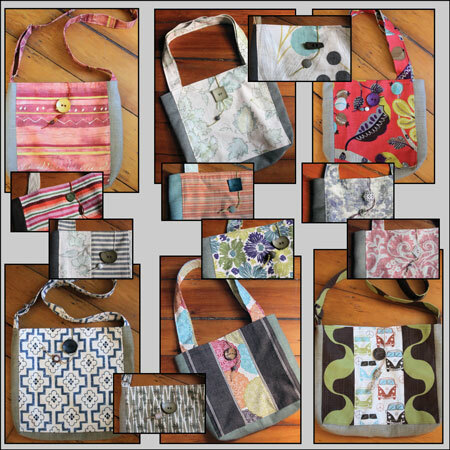 I make each bag individually and with the utmost care. They are quality-made, sturdy, pretty, and fun. 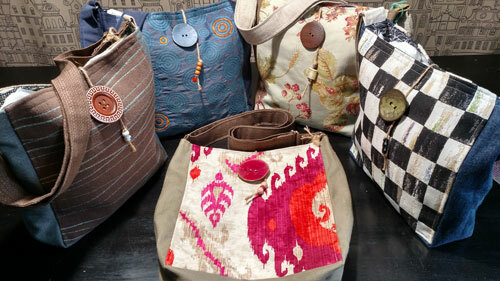 I hand-select and use multiple fabrics and materials in each bag, so they are full of texture, color, and patterns. 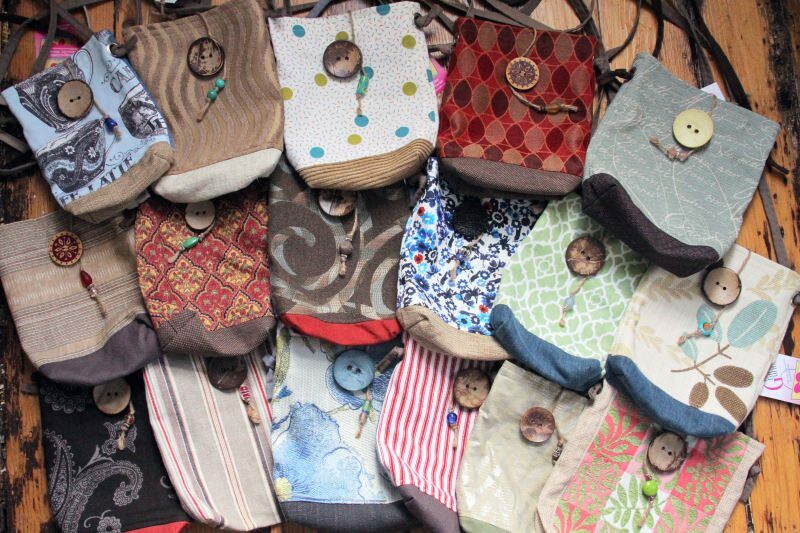 Each bag sold makes a difference in the lives of animals that need our help with the $1 Donations Program. Since 2015 Gracies Gunnies has donated over $2400 thanks to you. 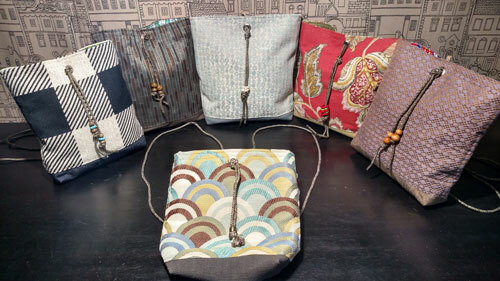 Mini Crossbody: long thin adjustable strap - smaller crossbody bag wear at hip, shoulder or anywhere in between, perfect low profile for carrying just the essentials for a day/night out, dog walking, etc. 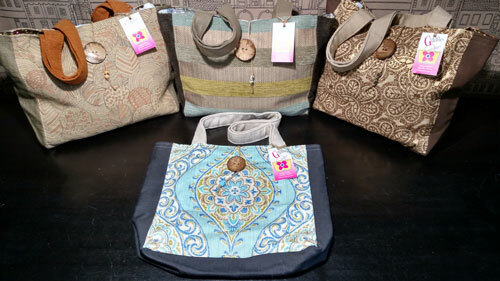 NEW Commuter Bag: long adjustable 2" strap, toned down unisex styling, 3 pockets outside and 3 pockets inside and...its reversible! The Dedham Exchange highlighted Gracie's Gunnies as their featured artist inThe Dedham Times. Thank you! Shop local! 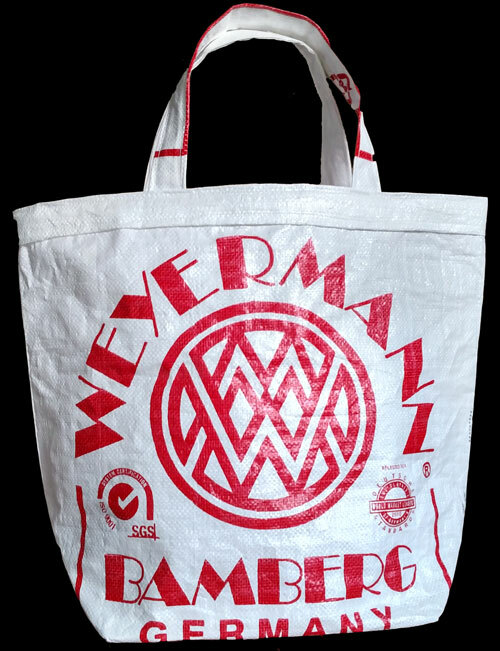 GRAIN BAGS: I've made upcycled grain bags for Percival Brewing Company, a nano-brewery w/tap room in Norwood! 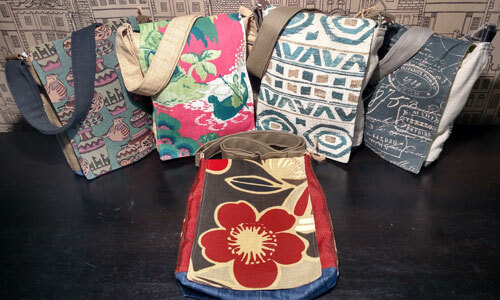 COFFEE BAGS: I've made upcycled totes for Sweet's & Java in Holden. 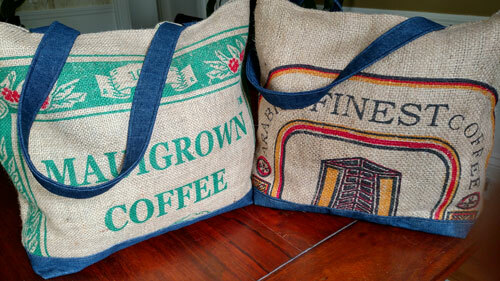 They are upcycled burlap coffee sacks. Cool! 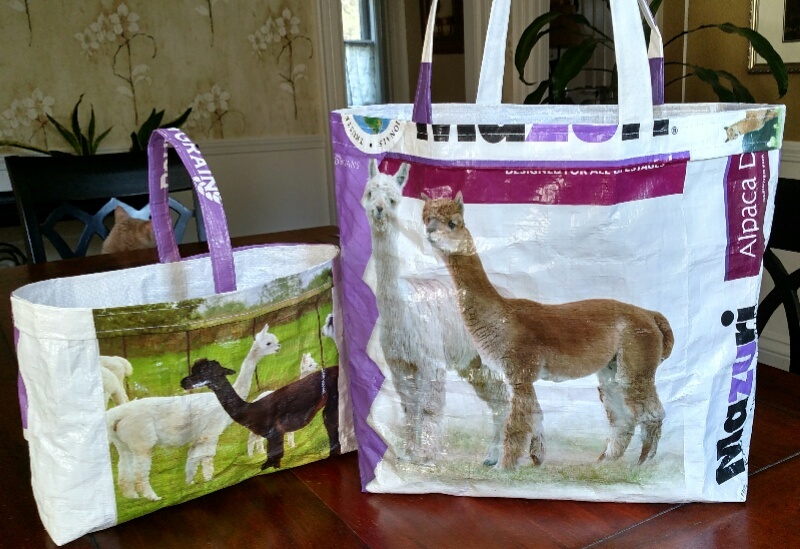 ALPACA GRAIN BAGS & APRONS: I've made bags and aprons from food grain bags for Alpacas for the visitor shop at Harvard Alpaca Ranch, in Harvard.